Women Wrist Watch mold - An original gift idea for Valentine's Day, the Ladies Wrist Watch mold can be realized in chocolate or sugar paste, is also available the men's watch mold. 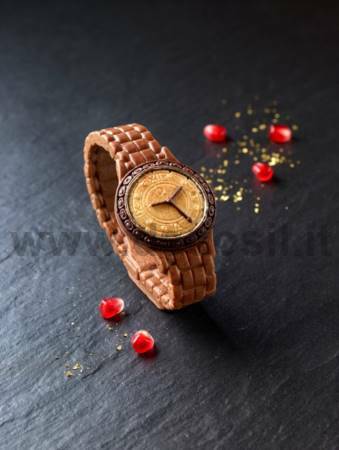 Women Wrist watch MoldWomen Wrist Watch mold - An original gift idea for Valentine's Day, the Ladies Wrist Watch mold can be realized in chocolate or sugar paste, is also available the men's watch mold. Mold weight: approximately 0,352 kg. Weight of the subject made of chocolate: 35 g.